A solicitor who failed to report “serious misconduct” by other members of staff at former Yorkshire firm Legal Development Partners has been fined £2,000 by the Solicitors Regulation Authority (SRA). Khalid Shahjahan, currently a conveyancer at Yorkshire firm Coles, admitted in a regulatory settlement agreement (RSA) with the regulator that he had also allowed his independence to be compromised by allowing “unqualified third parties” to control and influence the firm. 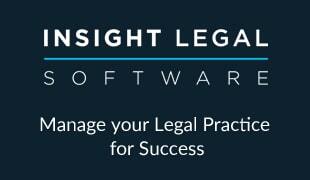 Legal Development Partners, based in Harrogate, was closed by the SRA in December 2013. 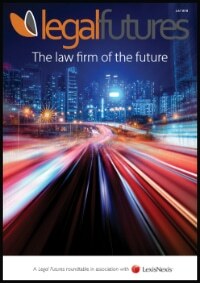 The firm had a range of trading names, including Ashworth Law, Fortius Legal, Towers Legal and Go Legal. Two other members of the firm have been referred to the Solicitors Disciplinary Tribunal. The RSA said the regulator had identified a “number of areas of default” by Mr Shahjahan. As well as failing to report serious misconduct and allowing his independence to compromised, the solicitor admitted accounts rule breaches. It indicated that the main issue was that client damages from the firm’s PPI department were being transferred to a claims management company (CMC). In mitigation, Mr Shahjahan said that although he was a non-executive director of the firm from incorporation in October 2011 to enable its formation, he was not involved in its day-to-day running or management until he joined as a salaried director and head of residential property in April 2013. When concerns were initially raised with him regarding the transfer of damages, he was assured by the firm’s senior director and chief executive that this was in accordance with a letter previously sent to clients. The issue was raised with Mr Shahjahan again in August 2013, and he, along with the senior director, instructed a firm of accountants to conduct an investigation, but this was then overtaken by the SRA’s own investigation. Mr Shahjahan also said he was also not involved in the day-to-day running of the firm’s accounts, other than being a signatory and being provided with the reconciliation statements to sign off. The RSA said that throughout the SRA’s forensic investigation, “the other individuals interviewed have stated that he was not aware of a number of the transactions between the firm and [the CMC] and took place before he joined the firm (sic)”. Mr Shahjahan agreed to accept a fine of £2,000 and to pay £5,000 in costs. Mr Shahjahan told Legal Futures that he was “delighted that the investigation regarding my mere nine months of employment as a salaried director at Legal Development Partners during 2013 has finally been concluded”. Non-solicitor Mathew Cobley and solicitor Lucy-Ann Kirkham have been referred to the tribunal over events at the firm. In a prosecution notice published in February, the SRA alleged that, among other charges, Mr Cobley had failed to act with integrity, failed to behave in a way that maintains the trust the public placed in him and in the provision of legal services, breached the Solicitors Account Rules, and failed to protect client money and assets. 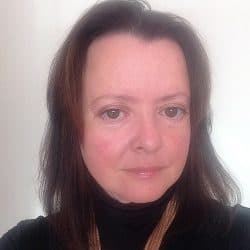 Referring Ms Kirkham to the tribunal, the SRA alleged that she had “failed to act with integrity, failed to behave in a way that maintains the trust the public placed in her and in the provision of legal services” and had breached the accounts rules. The SRA emphasised that the allegations against the pair were subject to a hearing before the Solicitors Disciplinary Tribunal and were as yet unproven.